MiniMat Battle Grid TM: The perfect, portable dry-erase battle grid system for your RPG! 1 square foot of mapable surface. A Geek Foundry exclusive! 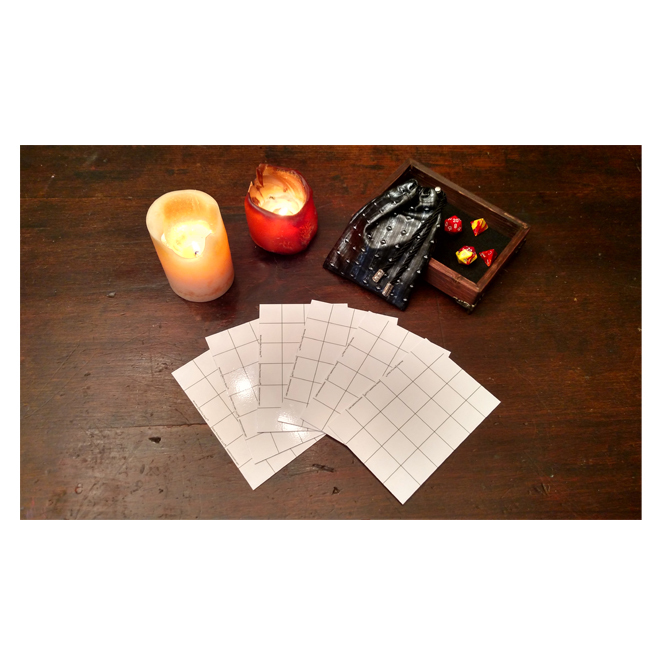 These lightweight, portable, dry-erase grids are perfect for stashing in your backpack, pocket, or use as an add-on to our exclusive Game Master Emergency Kit TM. 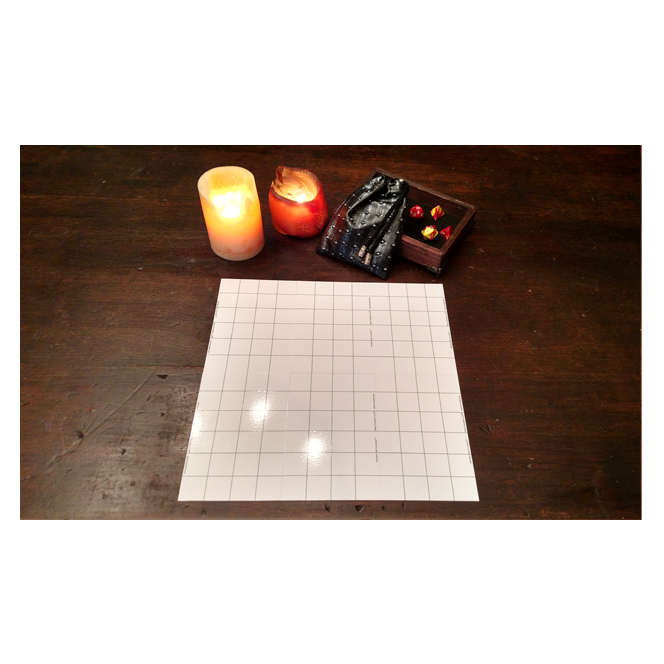 Printed on heavy-duty dry-erase stock, these tiles lay perfectly flat on your table–no need for weighing down curled corners or worrying about lamination bubbling up and ruining your play surface. 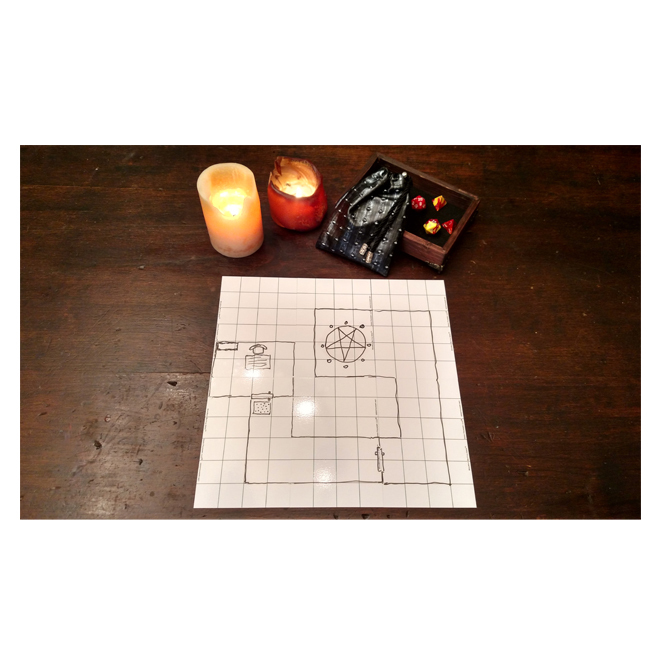 The set comes with 6 6″ x 4″ dry-erase MiniMat Battle GridsTM that when put together create 1 square foot of play surface. Squares are 1″ per side. Add some visual punch to your treasure hoards with this deck of Iconic Equipment and your players will love you... Or they'll at least love the cards. Bring your treasures to life with this excellent RPG aid. D&D 5th Edition Dungeon Master's Screen: An essential tool for quick reference of common D&D rules. We promise that no dragon sacks were harmed in the making of these pouches.  A VERY SPECIAL GAME MASTER EMERGENCY™ PROP PACK! Calling all Demon Hunters: This is your guide to understanding your foe. System-agnostic Role Playing props to level your game up! Drop these story-making gems into your game and give your players excellent adventures. A VERY SPECIAL GAME MASTER EMERGENCY™ PROP PACK! Calling all Witches, Warlocks, and other devotees of magical beings: Here is your guide to understanding the nature and origin of witches. System-agnostic Role Playing props to level your game up! Drop these story-making gems into your game and give your players excellent adventures. System-agnostic Role Playing props to level your game up! Drop these story-making gems into your game and give your players excellent adventures. Color your own adventure as you fend off vile dungeon denizens and make your way toward fame and fortune in this classic D&D coloring book for all ages! Give your cherished bones a safe home in this Skull & Bones dice bag. Put the chase back into your RPG chases with this action-packed deck of events and obstacles for your players!